Wow, it's been quite a while since the last FOTM list update, I've really been slacking a bit. Back in action this week though! This time around we're looking at some interesting shifts in the mid-lane with Kassadin back in the mix and roaming mid-laners all the rage. Meanwhile, Thresh looks like he's ready to take over the top spot on the support list and Rakan's rising fast behind. Draven is also surprisingly high nowadays as a result of his new Death's Dance build, which is super obnoxious to deal with. Draven [God Tier Marksman] - Draven continues to rise as one of top marksmen on the rift. His impossibly strong dueling potential is greatly boosted by his Death's Dance rush build, which allows him to pick up Fervor for even stronger early game cheese and snowball potential. Galio [Tier 1 Mid] - Although Galio is mostly played for his tanky top lane prowess, he's still seen in mid quite a bit as counter to assassins as a result of his durability and counter-ganking abilities. Kassadin [God Tier Mid] - Kassadin's rise to glory is largely a result of a large decline in play rate from Talon and Zed, allowing Kassadin to play against his favorite targets, squishy mages. He's always a threat as a result of his powerful roaming and snowball potential, but recent meta shifts certainly favor him quite a bit. 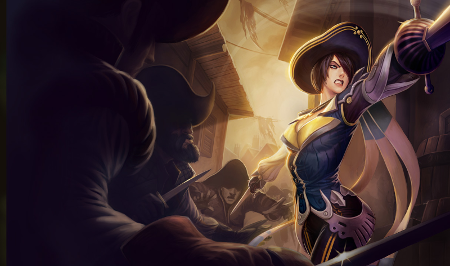 Nidalee [Tier 1 Jungle] - After nerfs on other junglers, Nidalee is slowly making a comeback onto the rift as a top tier jungler and an old favorite for many high level jungle mains. Her damage is now comparable after nerfs on the lethality and cinderhulk junglers, so expect to see more of her in the upcoming patches. Rakan [Tier 1 Support] - A few patches after release, Rakan has secured a spot in the hearts of many as a top tier support. He's extremely fun to play, and the range increase on his Q definitely helped quite a bit with his lane sustain potential as well. Taliyah [Tier 1 Mid] - Taliyah's gone from a cheese champion to one that can carry particularly hard. Her roaming power is great, and as players have learned to use her skills appropriately, running from her is almost impossible once she gets ahead. Thresh [God Tier Support] - Thresh is quickly taking over the God Tier support list, and is behind only Lulu in terms of bans and #1 in popularity. The addition of scaling magic resist a few patches back has greatly amplified his all-in potential by adding a bit more forgiveness to his decision-making process. Twitch [Tier 2 Jungle] - Twitch jungle is surprisingly popular. He's gone from a simple level 2 cheese jungler to one that can actually clear the jungle, resulting in a powerful source of damage and an effective initiation method if he gets ahead and his team has good follow-up. Zac [God Tier Jungle] - Despite nerf after nerf to this guy, he keeps coming as the #1 ban on everyone's list. His crowd-control is simply overwhelming, and the only good way to deal with him is to ban him out or pick him up. Even if you dodge his E, his Q simply wrecks havoc on teams. Ziggs [Tier 3 Marksman] - Ziggs as a marksman is largely out of favor, but people still pick him up if the team happens to be very AD heavy. He's also good if your team happens to be running Lucian mid or top, and his tower siege potential is still second to none. Bannerizer made it easy for you to promote ClickBank products by banners, simply visit Bannerizer, and grab the banner codes for your favorite ClickBank products or use the Universal ClickBank Banner Rotator Tool to promote all of the ClickBank products.